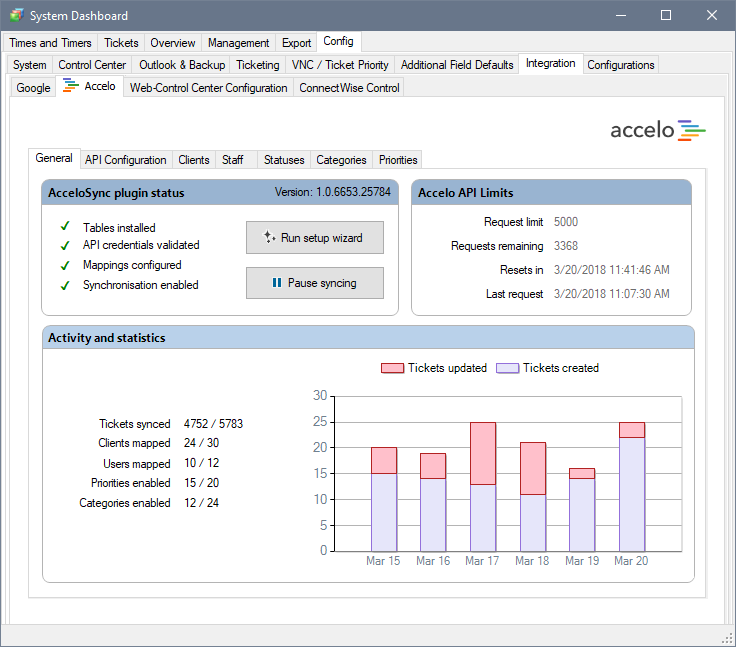 It's with great pleasure that we announce the initial v1.0 release of our "AcceloSync" plugin for LabTech/ConnectWise Automate to synchronise with the awesome PSA (aka Service Operations) "Accelo" (www.accelo.com). 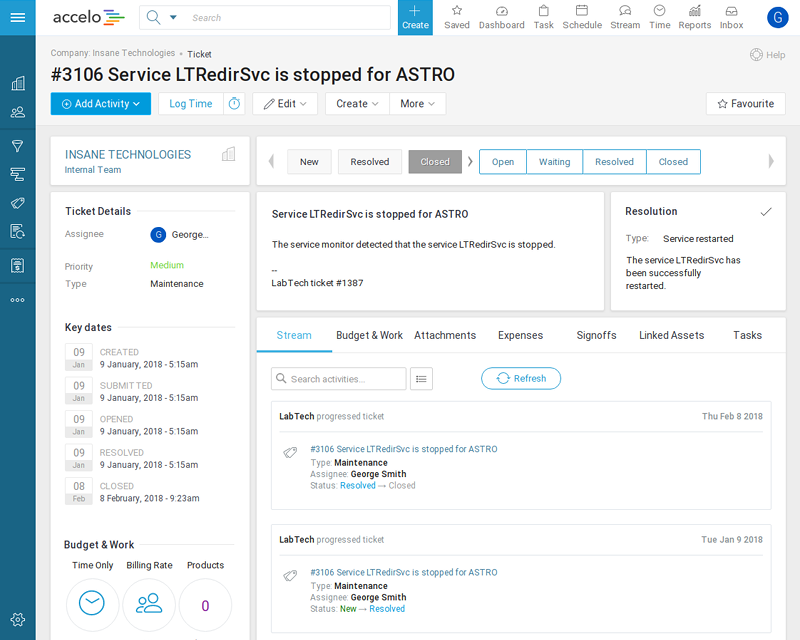 Born out of on-going frustration with ConnectWise [Manage], it's never ending UI revisions and little improvement in UX, not to mention the fact that the mobile application is damn right awful, we went hunting for a new PSA and came across Accelo. It's fast, totally SaaS driven and innovative - and has a fully open API that you can do amazing things with. Our only issue was that there was no integration for LabTech and due to licensing complications the cost for Accelo to build one was prohibitive. We tried other RMM tools but just couldn't find something that was as extensible and awesome as LabTech, so we decided to build our own integration! The awesome Shannon from Plugins4LabTech.com has allowed us to sell the plugin through his website, and the team at Accelo have been going above and beyond to support us in getting v1.0 of this plugin "Right". We used the ConnectWise<>LabTech sync plugin for inspiration and have gone to great lengths to make this experience as user friendly as possible. The best part of the CWM sync to CWA is the way billing works and how it uses managed services. Did you integrate that as well? Hey @MGreen, at the moment we have not mapped assets or service agreements. We built the plugin for our own internal use, but decided to polish it up and release it to the public for anyone else considering the move away from CWM. Our intention is to extend functionality either as we require it, or as the customer base requests. At the moment we're the only ones using it, and that's not a feature we _need_ right now, so it's not in our development pipeline. We have been talking to Accelo about how we might be able to leverage custom fields in their Assets table to perhaps do something like link to the ScreenConnect session of that asset. That to us has more value than whether an agreement is automatically updated or not, as that's not part of our business practices currently.